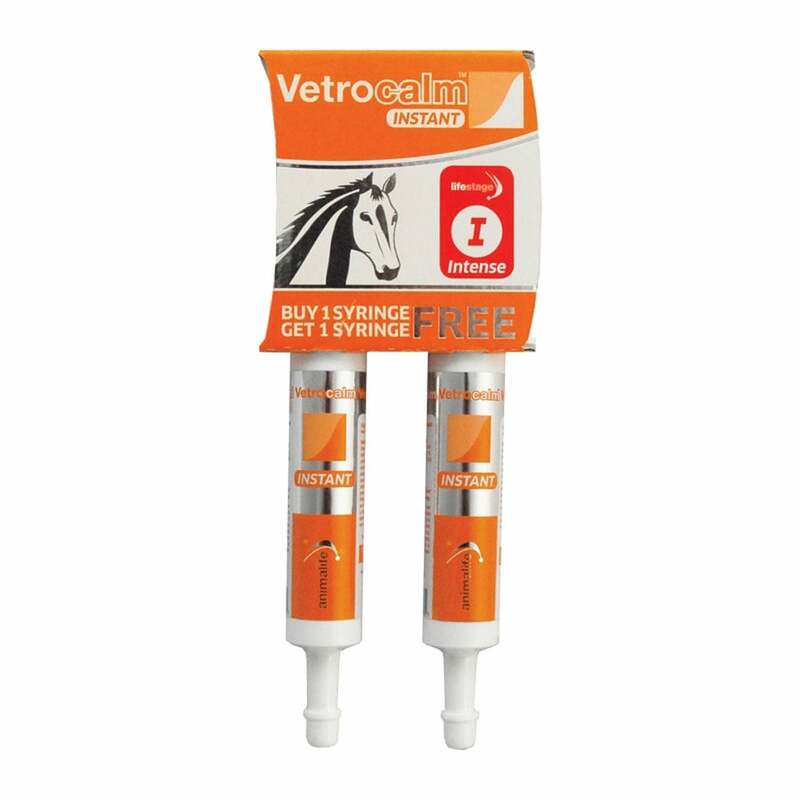 Animalife Vetrocalm Intense Instant Syringes are a fast acting super strength formula that provides targeted nutrition to support a calm and relaxed outlook in horses prone to tension, nerves, excitement or anxiety. Vetrocalm is scientifically formulated using an enhancement of the oxygen technology first used in Equine Oxyshot. Even a small decrease in oxygen levels can cause a change in behaviour. Vetrocalm Intense Instant works by assisting oxygen levels using natural ingredients. Under stress the bodies demand for oxygen increases and before competition this is magnified further as the body sends vital supplies to the brain and working muscles. When under intense pressure lactic acid can build up and the unique oxygen formulation in Vetrocalm Intense supports the body’s natural ability to oxidise this lactic acid. Vetrocalm Intense Instant should be administered approximately 30 minutes before activity and can be used every 2–3 hours as required. Best given on a empty stomach. Vetrocalm does not contain magnesium or tryptophan and is free from banned substances.